If you have a home office or travel for work, you know just how hard it can be to stay focused in an untraditional setting. Considering technology hygiene is the first step to amping up your concentration and and increasing your productivity. What is tech hygiene? Just as "sleep hygiene" refers to habits that are conducive to sleeping soundly and feeling rested, "tech hygiene" refers to the best practices for digital productivity and self care. Good tech hygiene results in eliminating overwhelm/avoiding burnout. 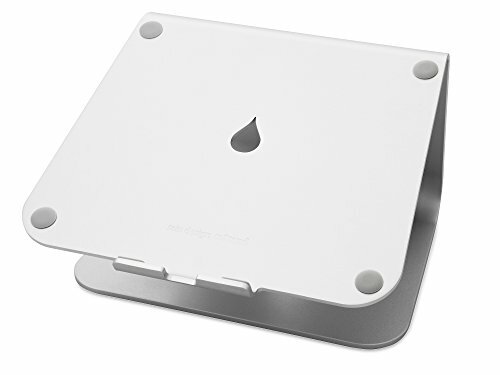 Whether it be at home or on the go, you can start practicing good tech hygiene tomorrow. How? By creating a structured work environment that reinforces focus, posture, and Nourishing Habits™ in your daily routine. Carve out desk space at your home, hotel, or Airbnb. If you’re tight on room, create a mini home office with a side table or lap desk. Purchase a computer stand to prevent neck strain and headaches. I use my rain stand every day! Install an app that filters blue light, such as f.lux, on your devices to prevent eye fatigue and promote eye health. Buy an office chair that supports your lumbar spine and posture. Block off time for lunch breaks like you would for any meeting. You deserve something to look forward to! Save hours of your precious workday with prepped, home-cooked meals or healthy takeout. You and I know that with so many distractions at our fingertips, maintaining a work routine in the 21st century can be challenging! If you haven’t tried these methods yet, now is the perfect time. By defining your workspace, you will create a distraction-free work zone. 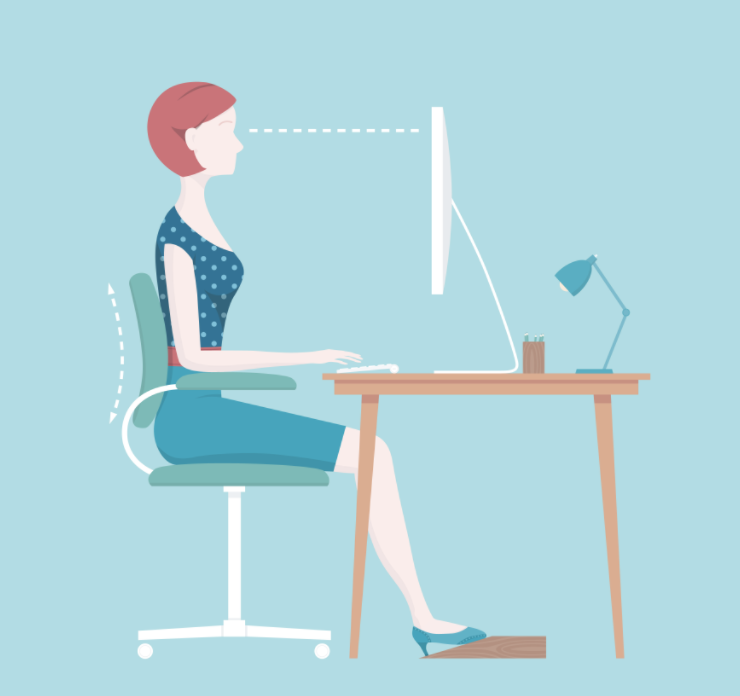 Prioritizing ergonomics while working from home and traveling will support your physical and mental wellbeing, allowing your focus to last without pain and fatigue creeping in. Finally, be sure to make meal productivity and healthy eating a non-negotiable part of your work week. Incorporating these Nourishing Habits™ is a solid step towards incrasing productivity and buidling a fulfulling self-care routine. For more tips, please subscribe to our mailing list and follow us on social media! Sign up to receive free productivity and wellness tips! Want to know more? Comment on this post or book your free consultation.